perhaps a little bit more lighting would be better. It's looking nicer than brenglass..
rulez added on the 2003-06-16 19:48:40 by Ugh! It was just a test about how the second assumption happened..
its at last the first prod where we work "together", but future teamwork will be better. 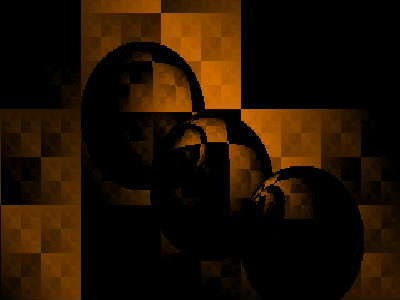 Nicer colours than Brennglas '03 - and still an amazing feat to get a raytracer in 256! Not so cool as BRENNGLAS '03, but atmospheric. Good work. page created in 0.016202 seconds with 15 queries.